Though not popular with most of use, best grip extensions are valuable weapon accessories. 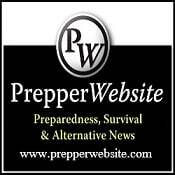 Probably one of the biggest problems pocket carry gun owners face to date is their weapon being too light and too small for shooting. Apart from being difficult to hold, they also make recoil much more noticeable. Most handguns have little handles that are hard to hold by adult hands, so tricky that they only get two fingers to fit on the grip. This is the time grip extensions come into the picture. Online and on brick-and-mortar stores, there are quite many grip extensions provider to date. Each of them is offered in various colors, sizes, and models depending on the weapon they are designed for. Since you are looking for one, we will help you narrow down your choices so selecting the best grip extension will be a piece of cake. 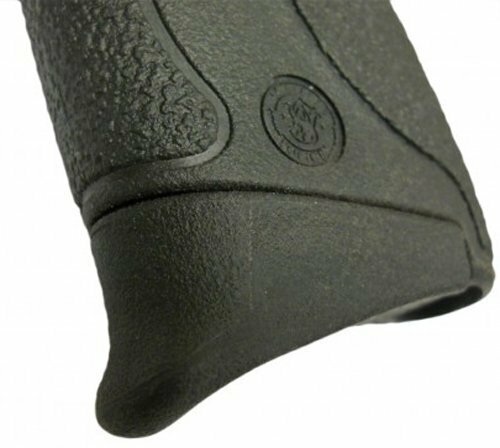 Designed for Smith & Wesson Shield 9mm, one of the best 9mm handgun, the Fixxxer Grip Extension is a must-have item if you want improvement on recoiling, stability, and support. Once added to your handgun’s magazine, you’ll get a hold of many benefits like getting a firmer hold, allowing your fingers to rest comfortably as you’re firing the gun. This means you’ll get not only better control, but also better looking weapon. The thing about this grip extension? It does not get in the way of concealment. And of course, it comes with superb quality and strength. Whether you have large or extra-large hands, this grip extension is your friend. 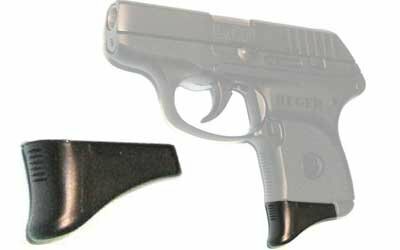 The 2-Pack Ruger LCP Grip Extension comes in 1.25-inch length, giving you an extra-large extension just when you need it most. Among the pros of having extensions are better grip, more control, increased stability, quicker draws for shooting, lightweight, and usable for a long time. In addition, having more fingers at the grip improves your shooting accuracy. So what more could you ask for? 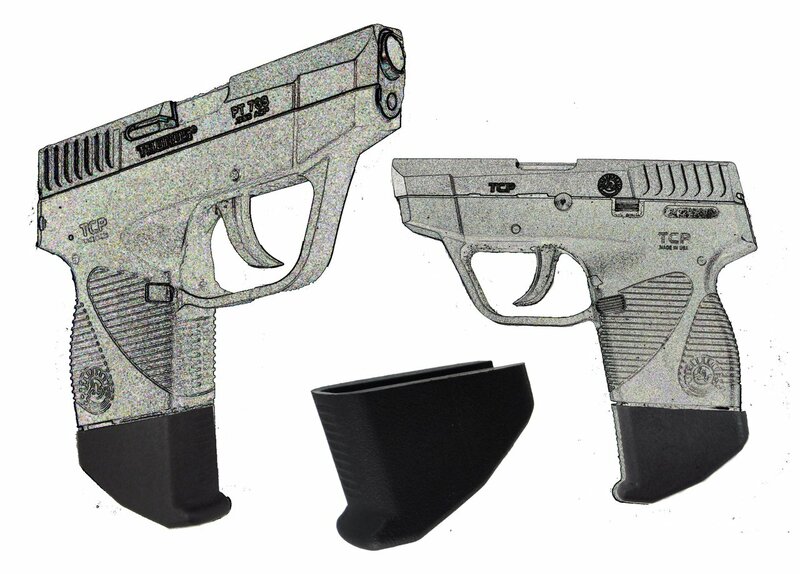 The 2-Pack Ruger LCP Magazine Extension is backed by 100% money-back guarantee. Exclusively designed for Glock 26 – 27c, this gun accessory enhances the look, feel, and versatility of the gun overall. 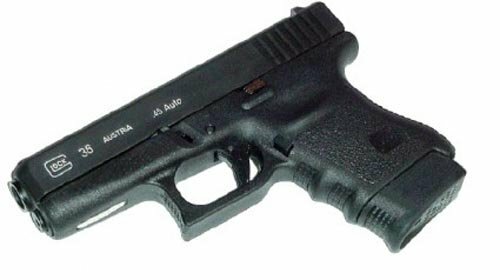 The grip extension is compact, full size, and adapts to on G19 and G23 magazines; thus increasing capabilities of your gun. Not only function-wise, the XGRIP also benefit the user aesthetic-wise through its classic design that flows seamlessly with the gun itself. Thanks to its unique construction, which was based on anthropometrics of the wrist and hand. The adaptor is also easy to use and manufactured with maximum durability to withstand years of use and the harshest environment conditions. It is also quick to install, simply slide it in and you’re done. No tools are necessary. Another compact and top quality grip extension to our list is the X-Grip Mag Spacer. Exclusively designed for Glock 29/30, gun owners love this adaptor because it works well, provides full size grip, fits well, and feels natural in the hand. 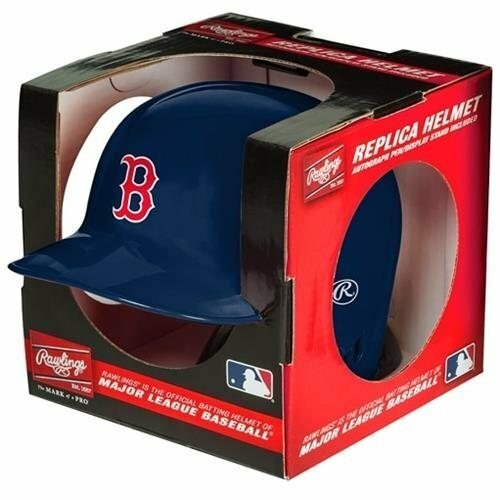 The exterior has a soft rubber grip, providing comfort when grabbed by the hands. It also slides on and off with no problems, and comes in a less expensive price tag. 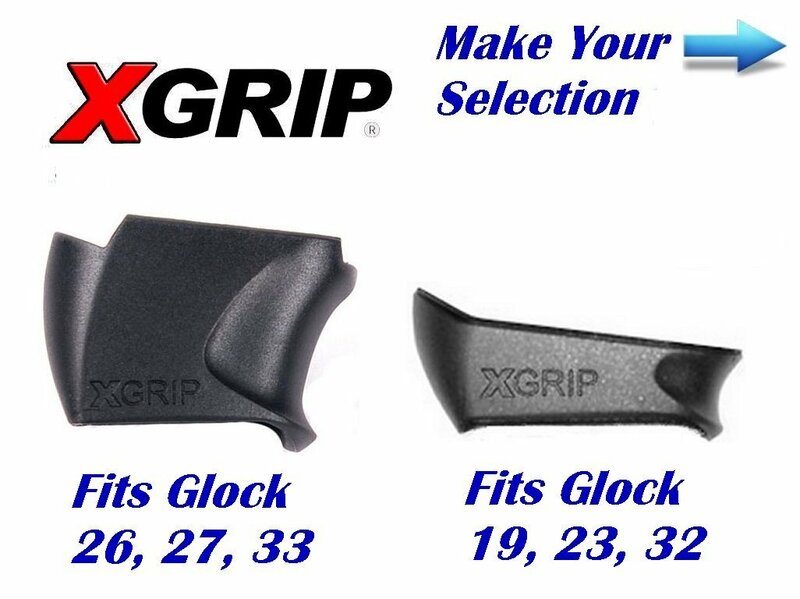 is grip extension is made exclusively for sub compact models, including the Glock 26, 27, 33, and 39. When installed, it replaces the internal floor plate and the magazine’s base plate. In addition, it adds 3 lbs to the Glock M26, 2 rounds to the Glock M27 and M33 and 1 round to M39. For better comfort and control, this extension add one extra length to your Glock’s magazine. Having only 1 pound of weight, this 2-pack grip extension allows you to rest one additional finger to the gun’s magazine without giving any discomfort. It boasts an ergonomic design, adding comfort and aesthetics to your Ruger LCP. 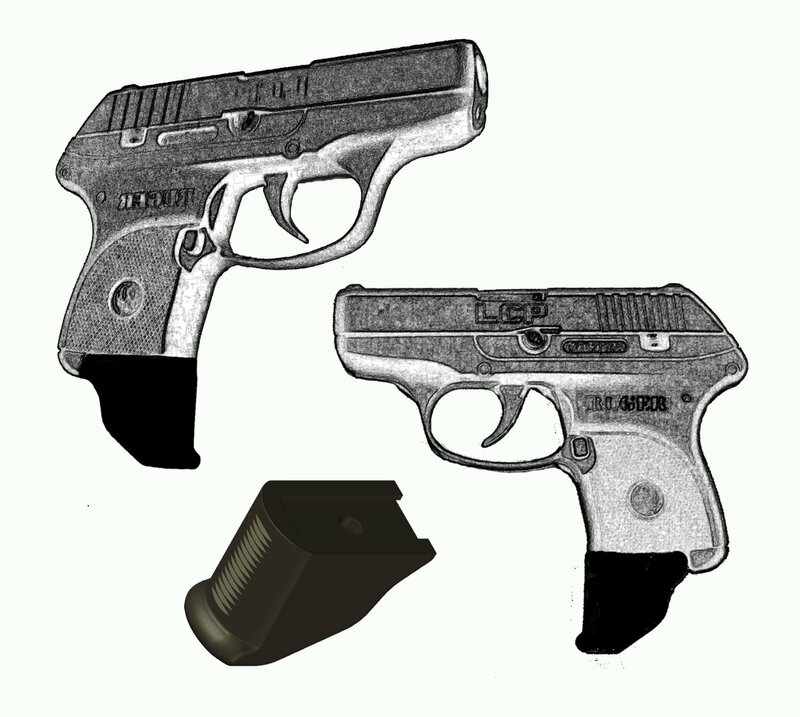 According to user reviews, it works as intended, installs nicely and easily, and has the size for the Ruger LCP handgun. Comfort, control, accuracy, and value – these are the main advantages of getting a Garisson Grip Extension. The added 1.25-inch length accommodates all 3 fingers completely. It also fits nicely to a standard-sized pocket and prevents moving of TCP in it. While it does not increase magazine capacity, it lessens painful kickback during shooting sessions. Considering the many benefits and flare these extensions bring to your handgun, there’s no question that grip extensions are well-worth it. Moreover, they make one-hand shooting quicker and easier, so you don’t need to worry about your little gun jumping out of your hands.